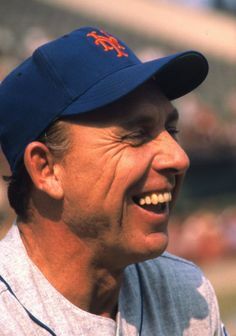 Saturday August 7th, 1971: Gil Hodges fourth place Mets (57-54) were on the road in Atlanta, facing Lum Harris' third place Braves (59-58) in front of 20,827 at Fulton County Stadium. It was on this night the Mets scored twenty runs in a game for the first time in team history. 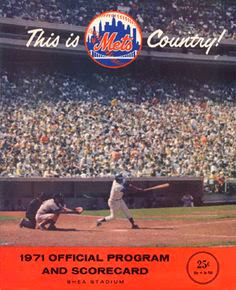 The Mets would collect twenty hits on this night as well. 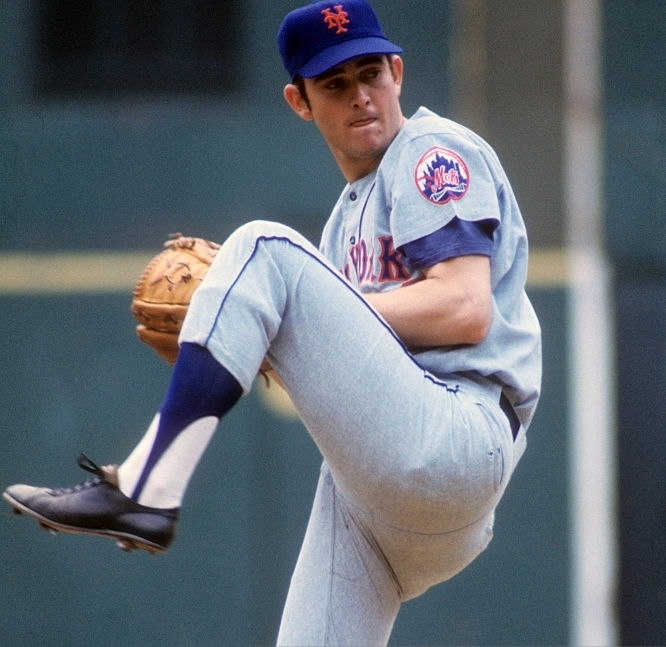 The starting pitchers were Nolan Ryan for the Mets & Ron Reed for Atlanta. The Mets got to starter Reed in the 1st inning, lead off man Buddy Harrelson reached on an error. Tommie Agee singled to center, sending Harrelson to third. Agee stole second & Cleon Jones brought in Harrelson with a single to left field. Ed Kranepool followed with a sac fly to center, scoring Agee. 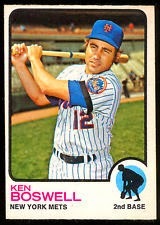 Ken Boswell then doubled to right making it 3-0 Mets. In the 2nd, Jerry Grote singled, Nolan Ryan bunted in an attempted sacrifice & reached safely. Harrelson then reached on an infield single. Wayne Garrett added a sac fly, making it 4-1. Cleon Jones singled in another run, knocking out Rick Reed after five runs. The Braves new pitcher was Mike McQueen, he walked Donn Clendenon walked bringing in another run, 6-1 Mets. The biggest Mets blow came from Ken Boswell, as the long 2nd inning continued, Boswell stepped in with the bases loaded. He connected for a grand slam HR making it 10-1 Mets, the HR was his third of the season. The Mets sent ten men to bat in that inning. In the Mets 5th GJerry rote & Nolan Ryan both singled. Short stop Bud Harrelson drew a walk to load the bases up again. Next Wayne Garrett & Tommie Agee both singled bringing in all runners, making it 13-1. Nolan Ryan struck out seven in eight innings, but would give up six runs on eight hits although it wouldn't matter. In the 6th, Ken Boswell walked & rookie Ken Singleton singled, Jerry Grote singled as well bringing in Boswell with another run. Rookie Tim Foli also singled making it 16-6. Mets slugger Donn Clendenon added a two run HR in the 7th, his 9th Homer of the year. In the 9th the Mets got even more help as Braves pitcher; Bob Priddy walked two batters & an infield error brought in two more runs to make it 20-6. In the end Nolan Ryan got the win & Reed took the loss. Ken Boswell led the Mets attack with four hits & five RBIs. Jerry Grote & Tommie Agee had three hits & an RBI each. Wayne Garrett & Donn Clendennon each drove in three runs, as Tim Foli & Cleon Jones both drove in a pair of runs as well.